Future and Cosmos: Why Mind-Kneel to an Expert Who's Like a Bribed Juror? Why Mind-Kneel to an Expert Who's Like a Bribed Juror? A recent article on medium.com is a piece by Gleb Tsipursky entitled “We're in an Epidemic of Mistrust in Science.” The author cites a poll stating that only 14 percent of respondents showed “a great deal of confidence” in academia. He cites a 2017 poll in which only 35 percent of respondents have “a lot” of trust in scientists, with 45% of respondents choosing instead that they have only “a little” trust in scientists. That doesn't mean an expert opinion is more likely to be right –it's simply much more likely to be right than the opinion of a nonexpert....While individual scientists may make mistakes, it is incredibly rare for the scientific consensus as a whole to be wrong. It is not a valid principle that expert opinion is much more likely to be right than the opinion of a nonexpert. It is probably correct that regarding small-scale, tangible physical things such as plumbing or farming or surgery, expert opinion is usually correct. But there is no general principle that expert opinion is generally correct in matters that are moral or philosophical or highly abstract, or in anything involving origins or large-scale trends. In this post I discuss many examples of expert opinions that were wrong with disastrous consequences, with the results often costing many thousands of lives. Tsipursky admits that “ideological biases can have a strongly negative impact on the ability of experts to make accurate evaluations,” and he links to a book about politics. But ideological biases occur not just in regard to political matters, but also in regard to all kinds of questions relating to physics, cosmology, biology and psychology. When scientists are trained to hold particular jobs such as evolutionary biologists and neuroscientists, they are conditioned in ideological enclaves where poorly established theories may be required beliefs, and unreasonable taboos may be prevalent. We should no more expect such enclaves to produce highly accurate opinions than we should expect some randomly chosen theology school to produce highly accurate opinions about matters of eternal truth. Another major reason why experts can reach wrong opinions is that an expert is often not like an impartial juror, but like a juror who has been bribed. Although jurors sometimes make mistakes, all in all the jury system is an excellent method for producing reliable opinions; and at its center is the idea of impartiality. 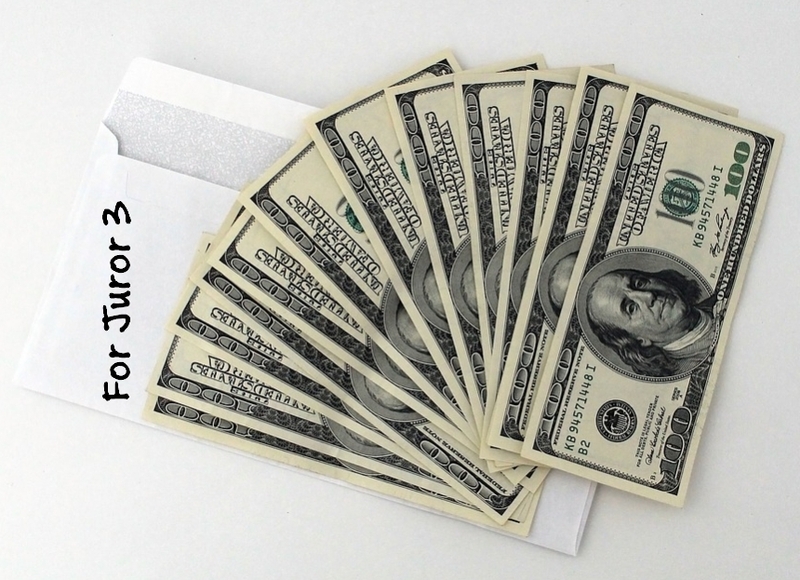 We are careful to select only jurors who have no financial interest in the matter they are deciding. But a large fraction of experts have financial interest in reaching particular judgments. If you shell out $100,000 in graduate school tuition to get a degree in some field, you are expected to conform to the dogmas and intellectual taboos of that field, and not express opinions defying the majority viewpoint. If you state opinions defying the majority viewpoint, you will be less likely to get your scientific papers published, less likely to get research grant money, less likely to be appointed as a tenured professor, and less likely to get a good return on your hefty tuition investment. So it is quite common for an expert to have a large financial incentive to conform to majority opinions. An expert with such an incentive is not like an impartial juror, but is like a juror who has been bribed to reach some particular decision. We can imagine a system that would maximize the chance that scientists would be impartial judges of truth. A person would become a certified scientist by simply passing a very hard standardized 3-hour multiple choice test. Once he had passed the test, he would be assured a government salary for 5 years, along with a certain amount of money for research. The scientist would get the salary and the research money no matter what opinions he stated. There would be no committees analyzing someone for conformity before appointing him as a tenured professor. The only way someone could stay a certified scientist would be by passing the very hard test every 5 years. The publication of the papers of all certified scientists would be guaranteed, and scientists wouldn't have to worry about votes of approval from “peer review” paper reviewers. Such a system would maximize the chance of impartial and objective scientists, but it would be totally different from the current system. Scientists get rewarded in money and reputation for finding fault with statements about reality made by other scientists. Thus, when the large majority of them agree on something — when there is a scientific consensus — it is a clear indicator that whatever they agree on accurately reflects reality. Anyone familiar with the “echo chambers” that are certain branches of science may chuckle at this claim. The situation is that quite a few unproven and implausible ideas have become popular among different tribes of scientists, just as quite a few unproven and implausible ideas have become popular among different religions. Scientists who criticize a prevailing dogma that is poorly established or implausible will not at all “get rewarded in money and reputation for finding fault with statements about reality made by other scientists.” They will instead be treated as heretics and lepers, and will have a much smaller chance of having their papers published, and a much smaller chance of getting appointed as tenured professors. Before the internet, we got our information from sources like mainstream media and encyclopedias, which curated the information for us to ensure it came from experts, minimizing the problem of confirmation bias. Today, the lack of curation means thinking errors are causing us to choose information that fits our intuitions and preferences, as opposed to the facts. Anyone familiar with the extremely high rate of confirmation bias (and general ideological bias) in the writings of experts of many types will chuckle at this idea that previously people didn't get biased information when they read from encyclopedias and mainstream media. Tsipursky has an idea for how trust in academic scientists can be increased. His idea is for people to sign something called the Pro-Truth Pledge. One of the promises in that pledge is a promise to “recognize the opinions of experts as more likely to be accurate when the facts are disputed.” That is not a sound general principle, since communities of experts often may be wrong because of sociological and groupthink reasons, and because a person belonging to a community of experts often has a financial interest in reaching some opinion that echoes that of the community. Such an expert is not like an impartial juror, but like a juror who has been bribed to reach some particular decision. There's a better way to get the public to have increased confidence in academic scientists: have the scientists themselves do things that will increase the public's confidence in their statements. 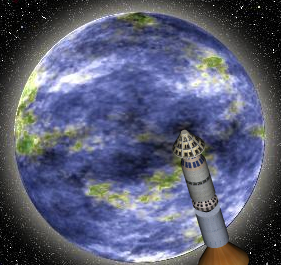 The following are some of the things that scientists could do. Scientists could stop pretending to understand things they do not understand. Many a modern scientist speaks as if he understands things that he does not actually understand. Nobody understands the origin of life, the origin of biological complexity, the origin of human minds, how it is that a newly fertilized ovum is able to progress to become a full baby, why proteins fold into conveniently functional three-dimensional shapes, how a human is able to have memories lasting for 50 years, how humans are able to generate ideas, why humans are able to instantly remember obscure facts and memories, or why the universe's fundamental constants are so fine-tuned. But scientists often speak as if they understand such things. A conspicuous example of this type of intellectual sin is a recent story in New Scientist with some teaser text saying, “The idea of an infinite multitude of universes is forced on us by physics.” This statement is completely false, and there is zero evidence of any universe other than our own. Another recent example was cosmologist Ethan Siegel telling us fine details of what supposedly happened at the time of the Big Bang, details he cannot possibly know, because the first 300,000 years of the universe's history are forever closed off to telescopic observations because of photon scattering. Scientists could stop describing as “impossible” or “unscientific” things for which there is much empirical evidence. Besides dogmatically advancing some claims for which there is no good evidence, many a modern scientist will refuse to acknowledge evidence of the paranormal and the psychic, even when such evidence includes decades of very convincing laboratory experiments (as in the case of ESP). So a scientist such as Sean Carroll tells us that ESP is impossible (despite decades of experimental research establishing its existence), while also falsely claiming that the multiverse idea is not a hypothesis, as if there is any convincing empirical basis for believing in it, which there is not. In such cases we get the impression of a scientist believing precisely what he wants to believe, regardless of the evidence. Scientists could work on cleaning up problems in their scientific papers. In this post “The Building Blocks of Bad Science Literature,” I discuss more than a dozen problems that we commonly see in scientific papers, including data cherry-picking, unwarranted causal attribution, studies with too low a statistical power because of an inadequate sample size, misleading brain visuals, all-but-indecipherable speculative math, and data dredging. By reducing these problems, scientists would increase public confidence in them. Opinion pieces like Tsipursky's tend to make it sound as if it's only the poorly educated who are suspicions of the theoretical pronouncements of scientists, but that isn't the case. There's plenty of distrust in such pronouncements coming from the well educated. For example, philosophers of science have extensively discussed the issue known in the technical literature as “the underdetermination of scientific theories.” This is the fact that in many cases the evidence will support equally well a prevailing scientific theory and rival theories that are called “empirical equivalents.” Countless philosophy of science papers have been written about this issue of the underdetermination of scientific theories. Outside of academic philosophy departments, there are many sociologists who study scientist communities objectively, regarding them as just another social community with the same sociological tendencies as other social communities, such as tendencies to construct group norms and taboos, with sanctions punishing those who deviate from such norms and taboos. Such sociologists often conclude that some popular scientific theories are social constucts created largely to serve the ideological, economic or sociological needs of those who teach such theories. 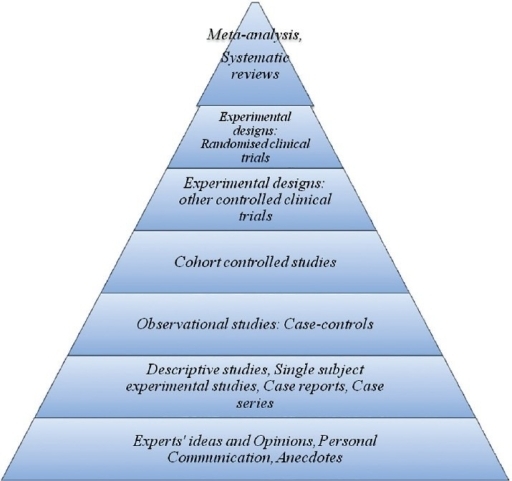 It is interesting that a government web site gives us a "hierarchy of evidence" pyramid, one of a number of similar pyramids you can find by doing a Google image search for "hierarchy of evidence." 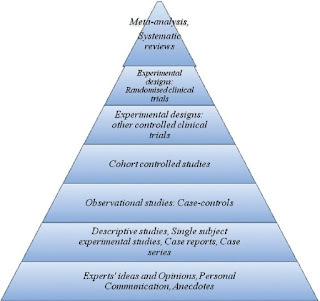 In the hierarchy of evidence (ranging from weakest at the bottom to strongest at the top), "expert opinion" is at the very bottom of the pyramid. So why is it we are so often asked to believe this or that explanation for some important matter, based on expert opinions? Postscript: A study found that "nearly all scientific papers" are "controlled by six corporations." We may only wonder about what shadowy agenda such thought overlords may have.